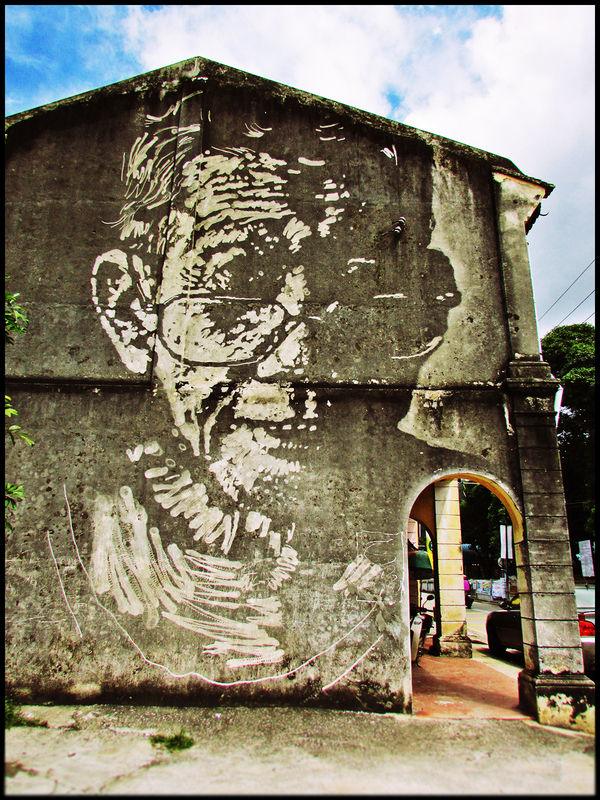 A mural featuring a portrait of an old man (a local silversmith) found at the wall of an old shophouse in the Balik Pulau town. 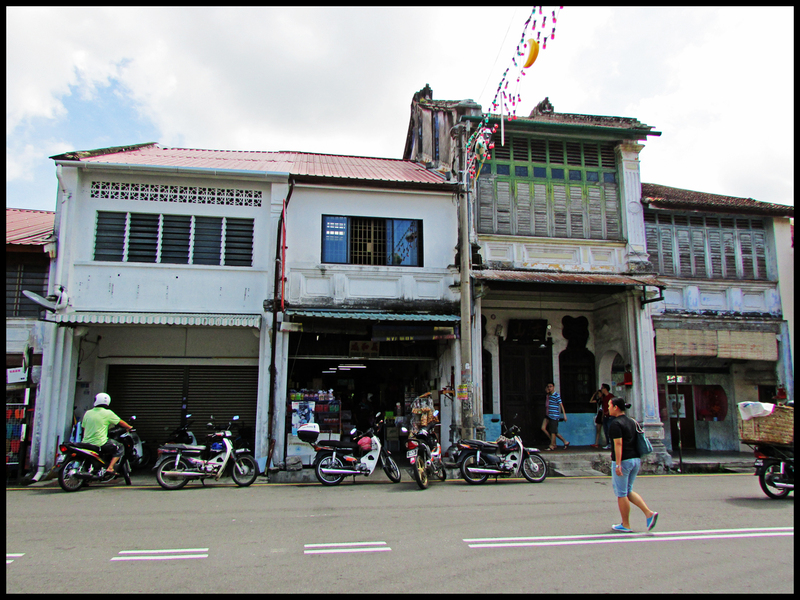 This ‘reverse graffiti’ mural is painted with using just water by Ernest Zacharevic, the artist who started the famous street art in George Town, Penang. 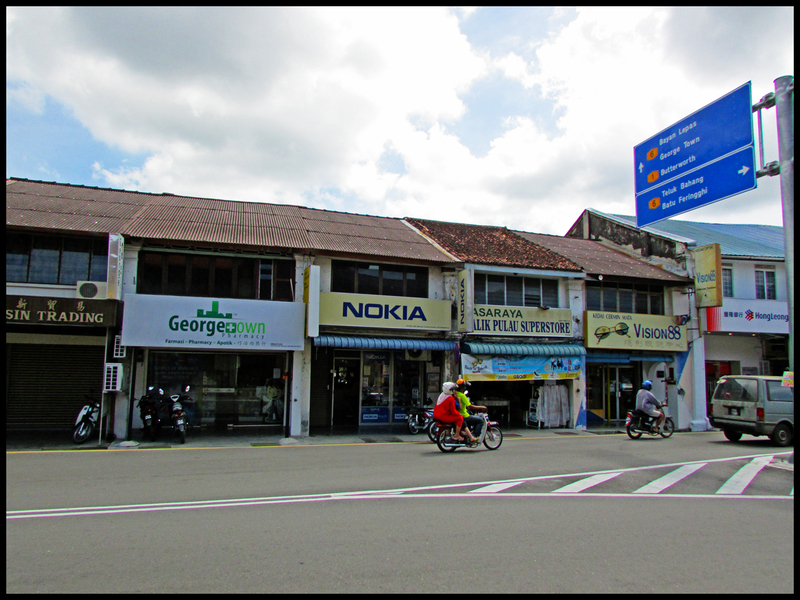 This is his contribution to the Urban Xchange conference held last November in Penang. 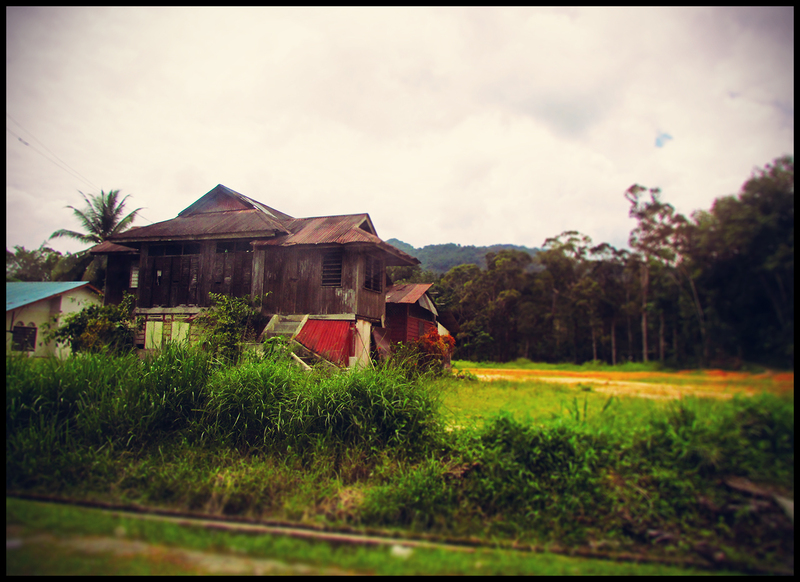 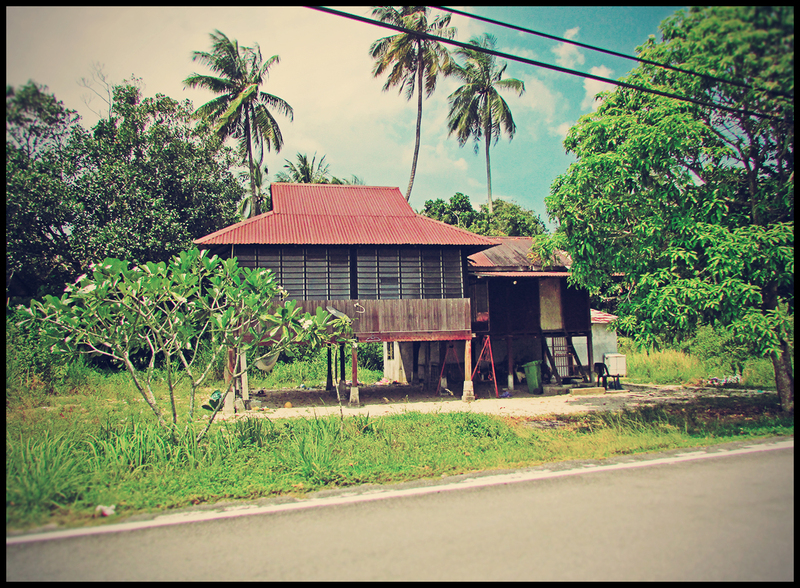 A portrait of an old Malay style wooden house. 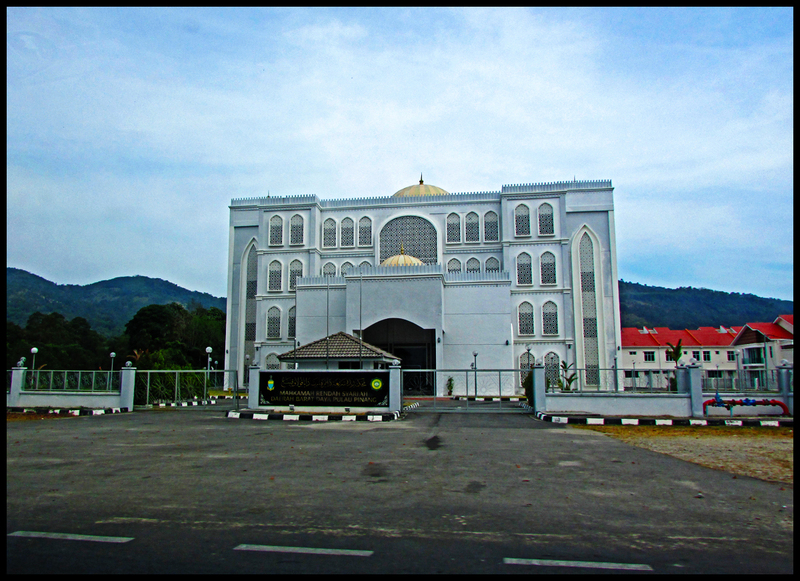 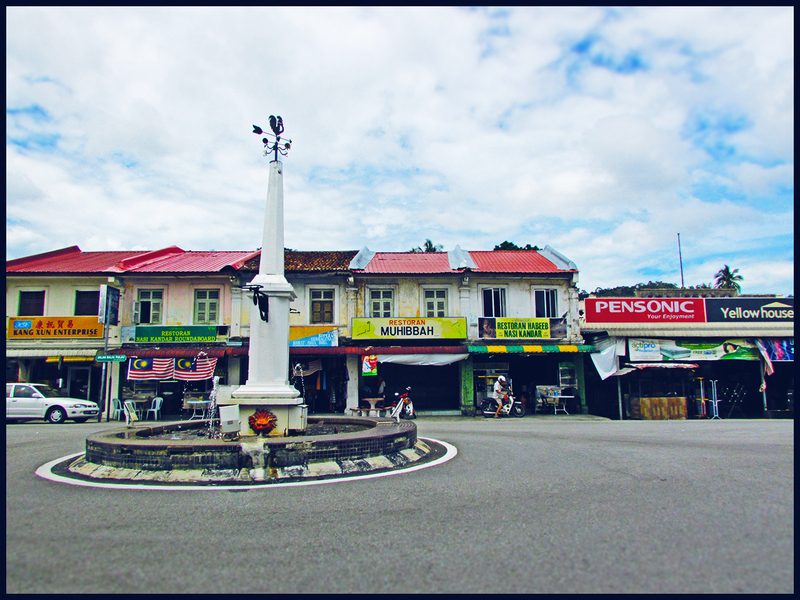 The old landmark roundabout at Balik Pulau town. 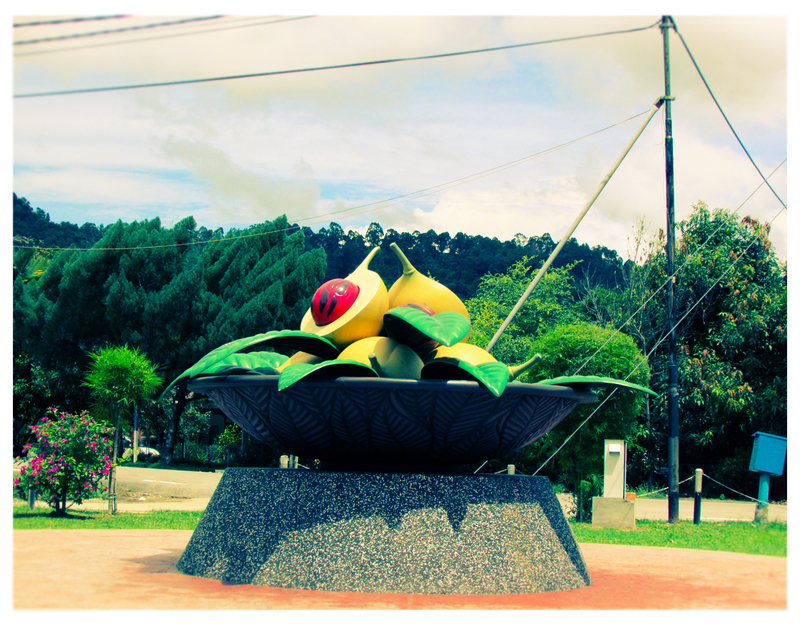 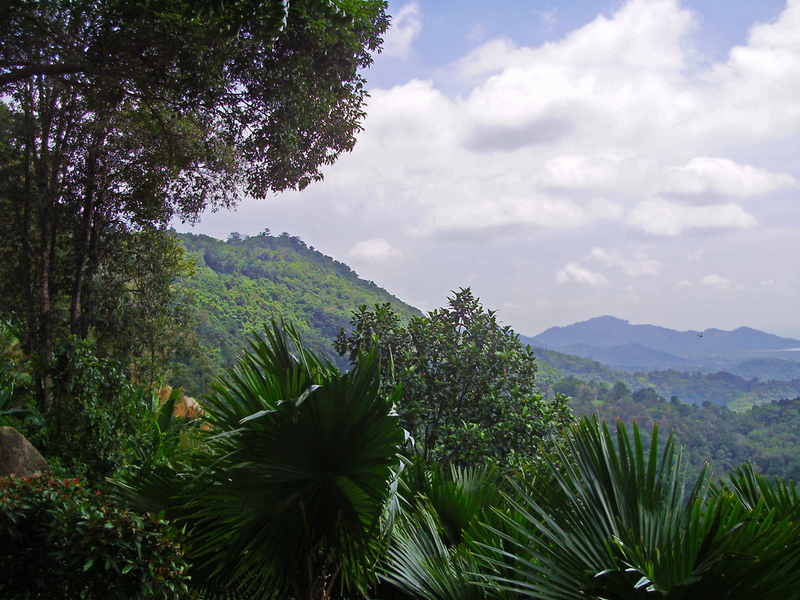 Balik Pulau is also home to the local favorite nutmeg juice, where there are several nutmeg plantations located in the region. 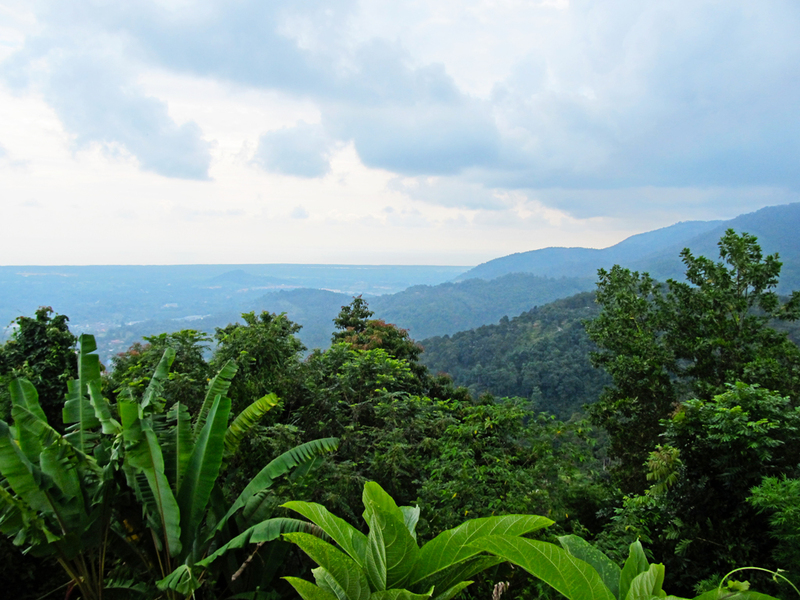 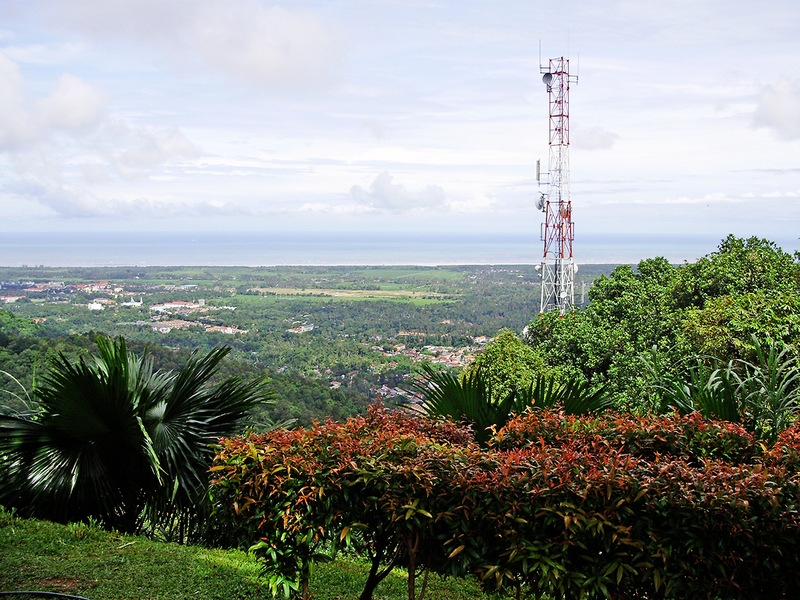 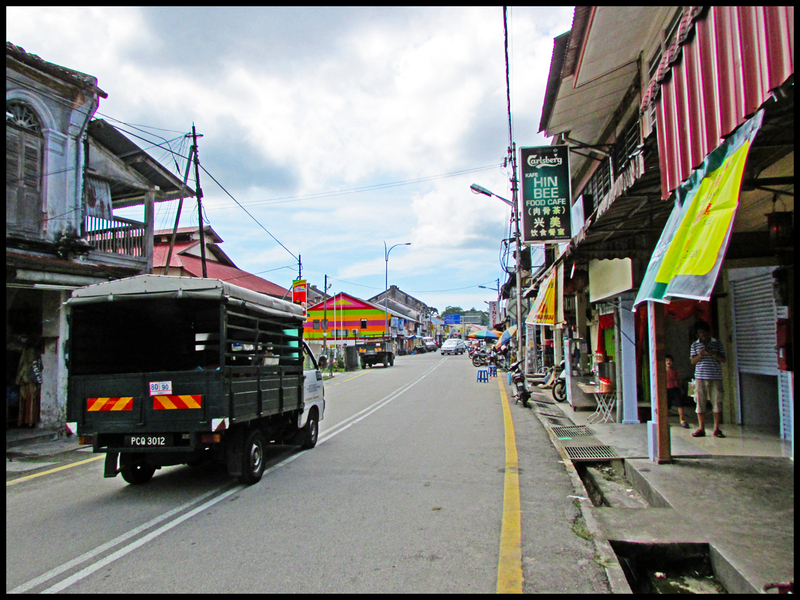 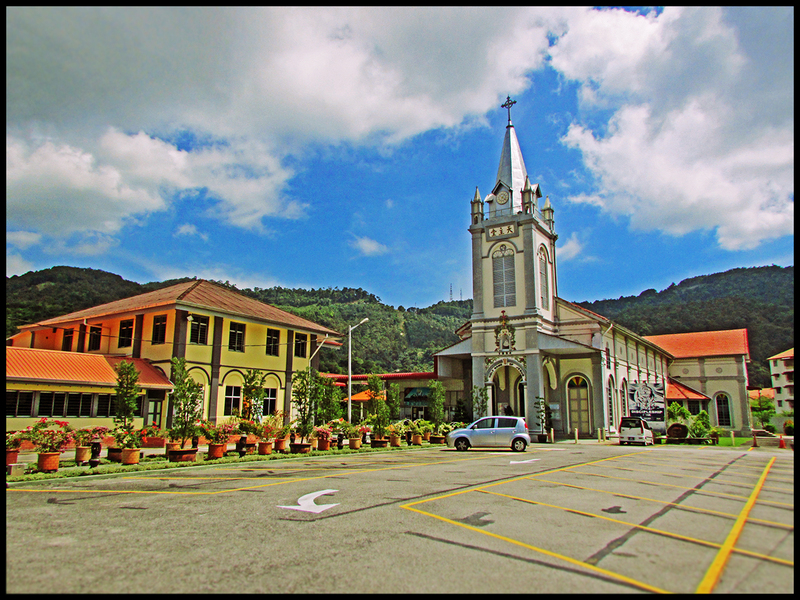 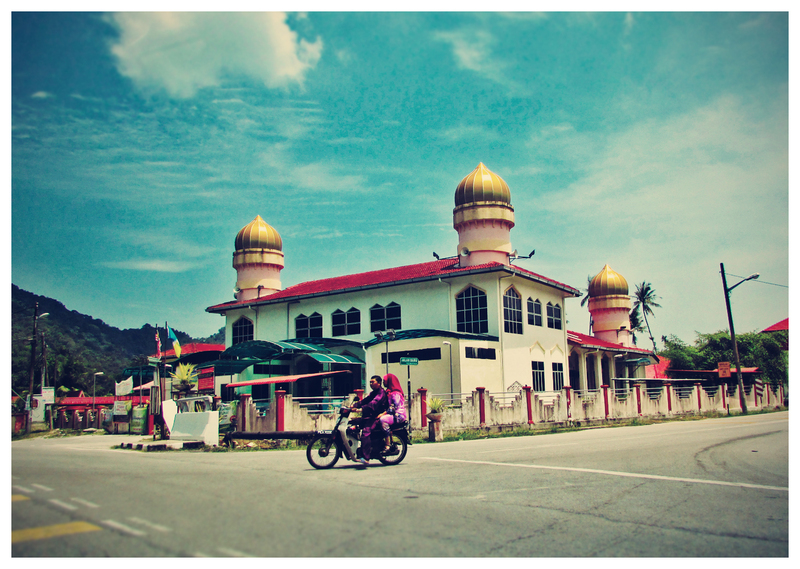 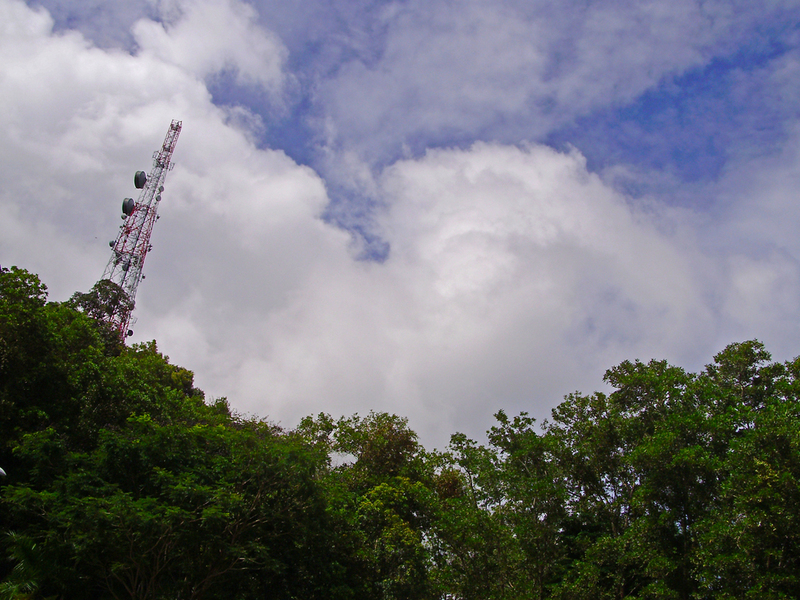 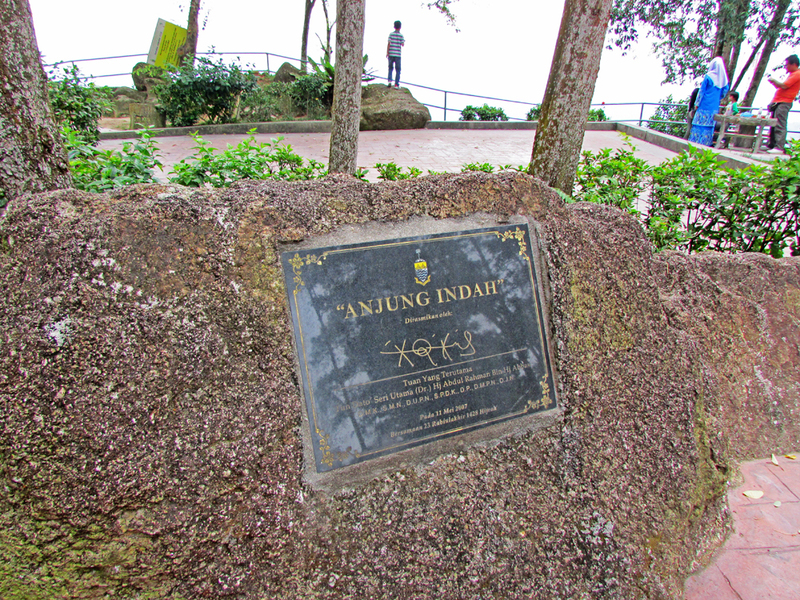 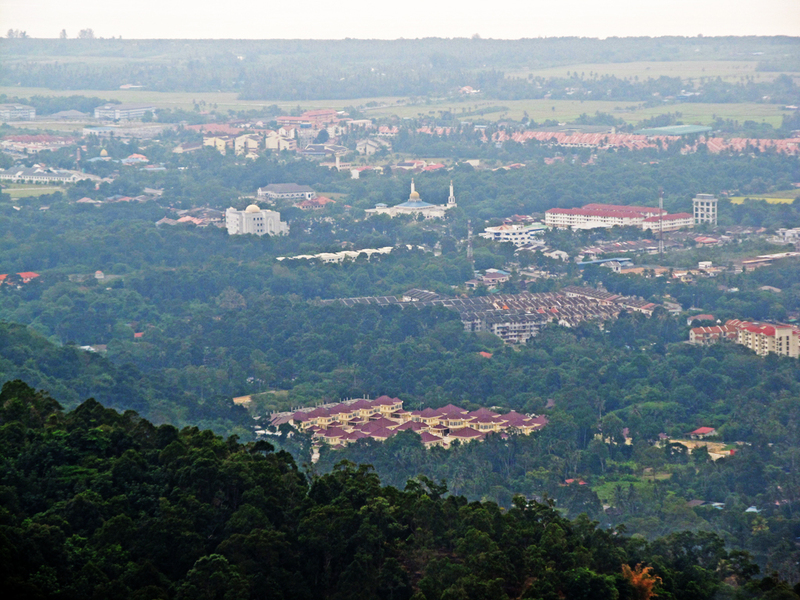 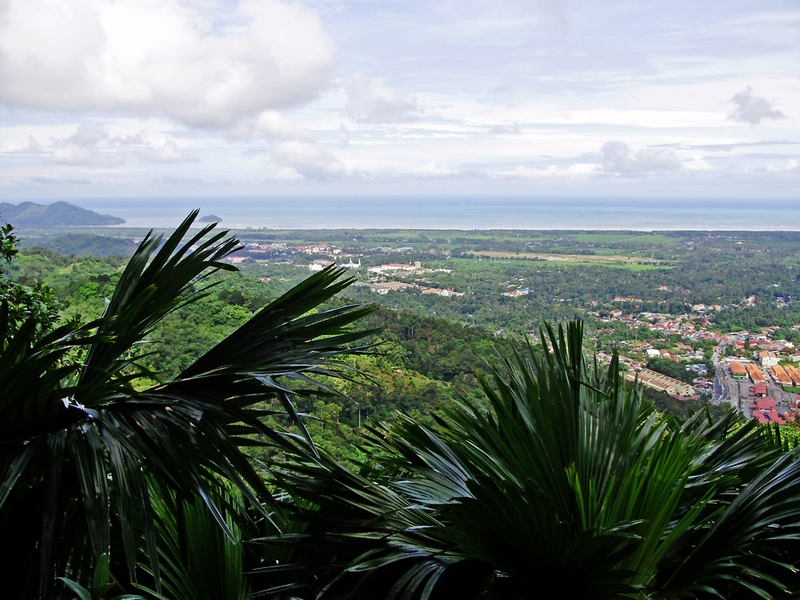 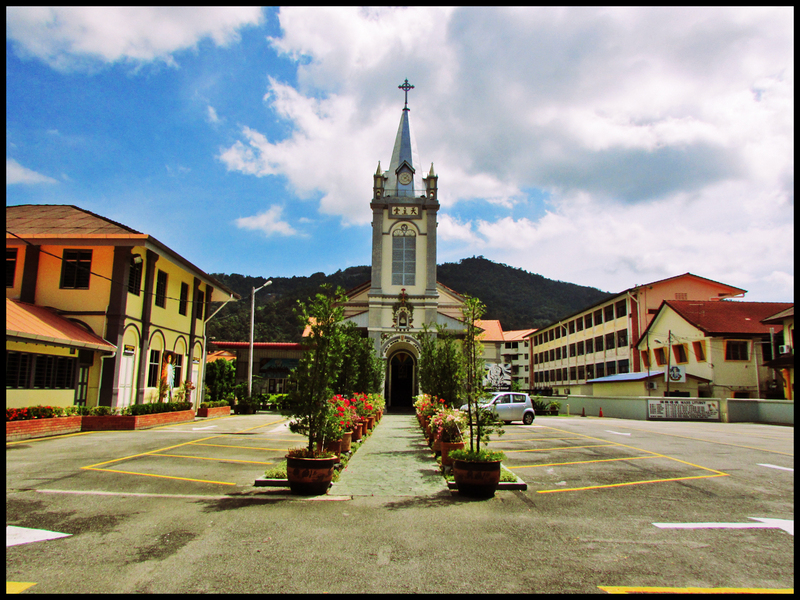 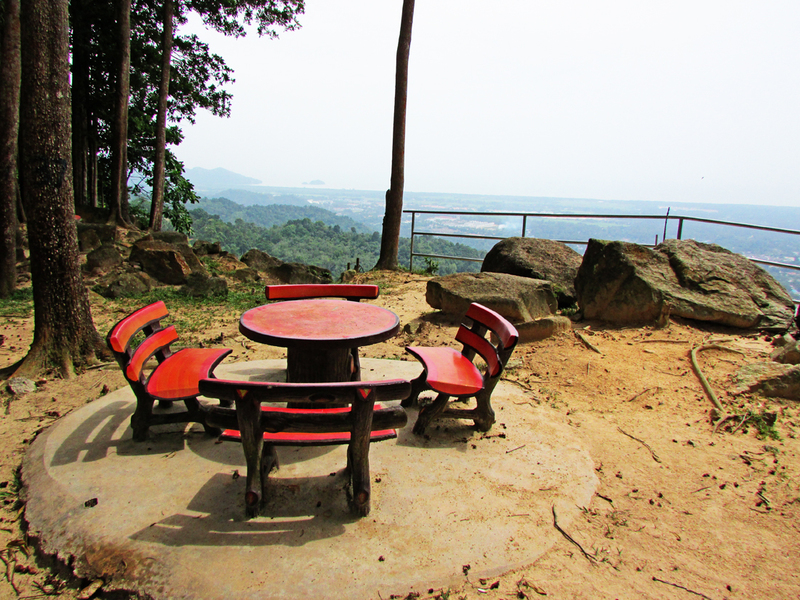 Anjung Indah is a mid-way rest place (along Jalan Tun Sardon) in the midst of the hills of Balik Pulau and also provides a scenic view of the western part of Penang. 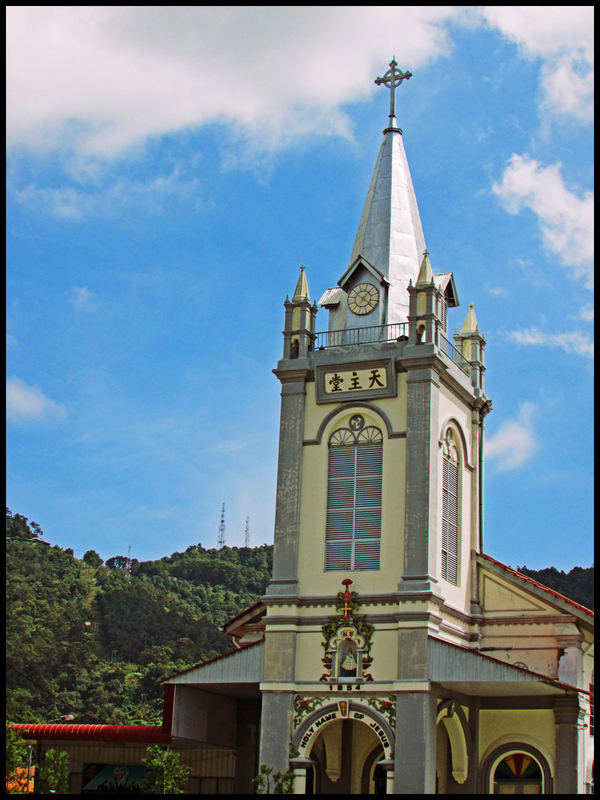 The Penang Durian Festival is usually held at this location.